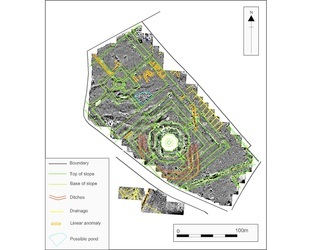 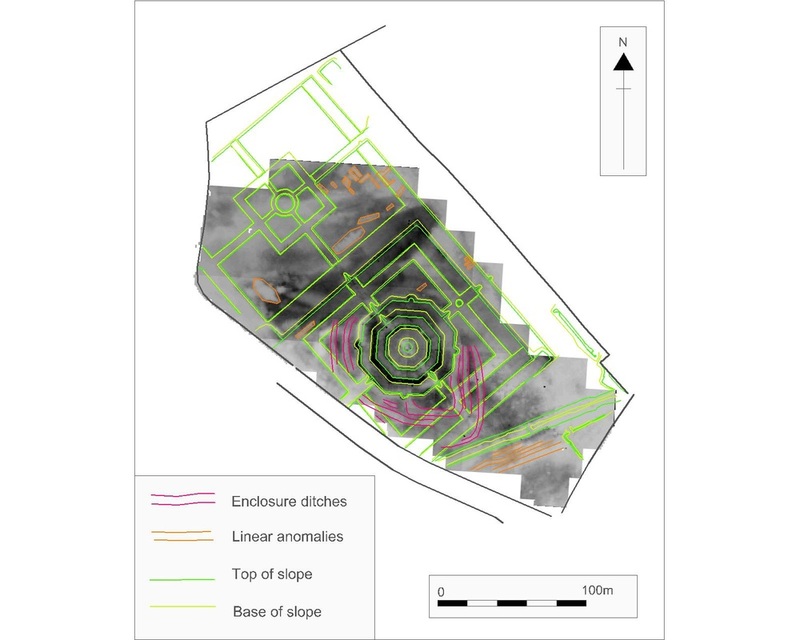 The first illustration here shows our topographic survey of surviving features. 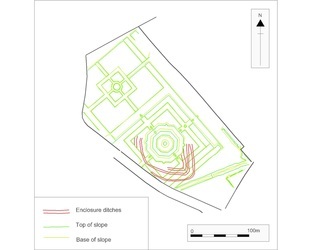 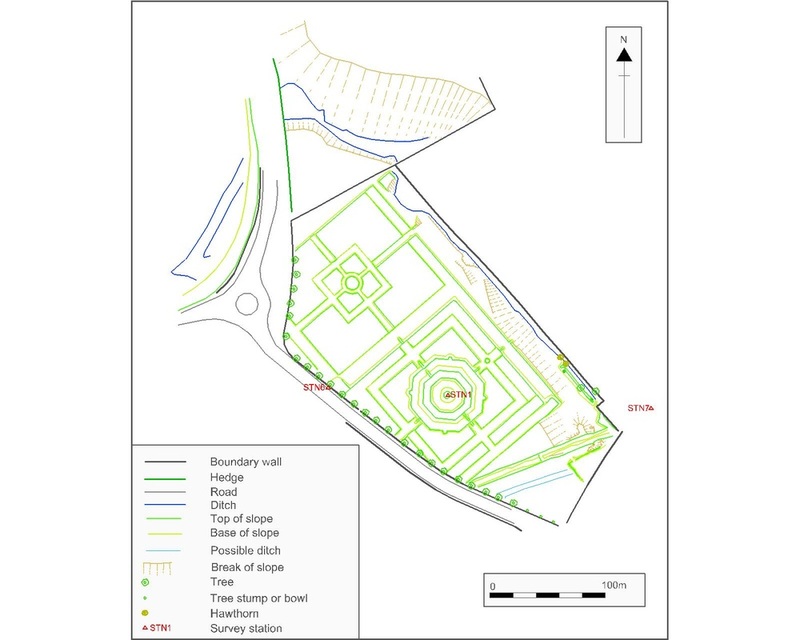 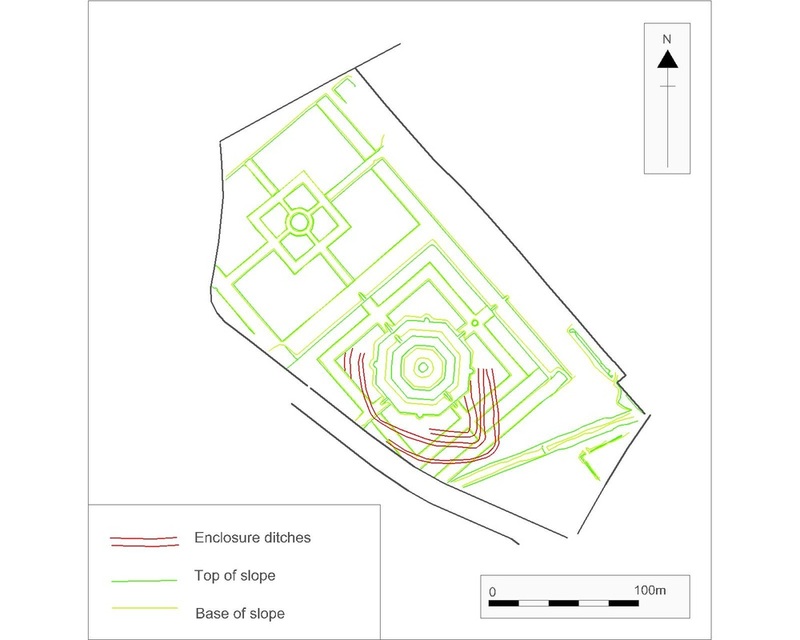 The second illustration shows the triple ditch enclosure revealed in aerial photographs, and first transcribed in 1975, placed in our survey. The third and forth illustrations here show the results of the magnetic survey and resistivity survey with interpretation of main features. 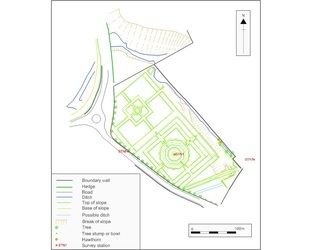 Other Pages> King's Knot Survey | Survey Techniques | Survey pictures here.